The BIG game day is coming and wanted to put together a tutorial on how we roll when organizing a football fiesta at home. Are you ready for my tips? First, we need a good menu. 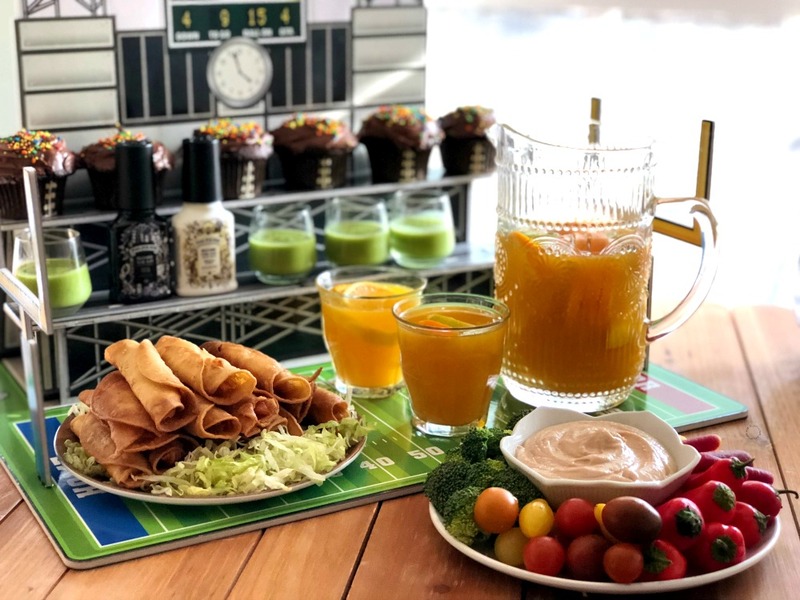 The football fiesta food includes crispy chicken taquitos with real deal guacamole sauce. 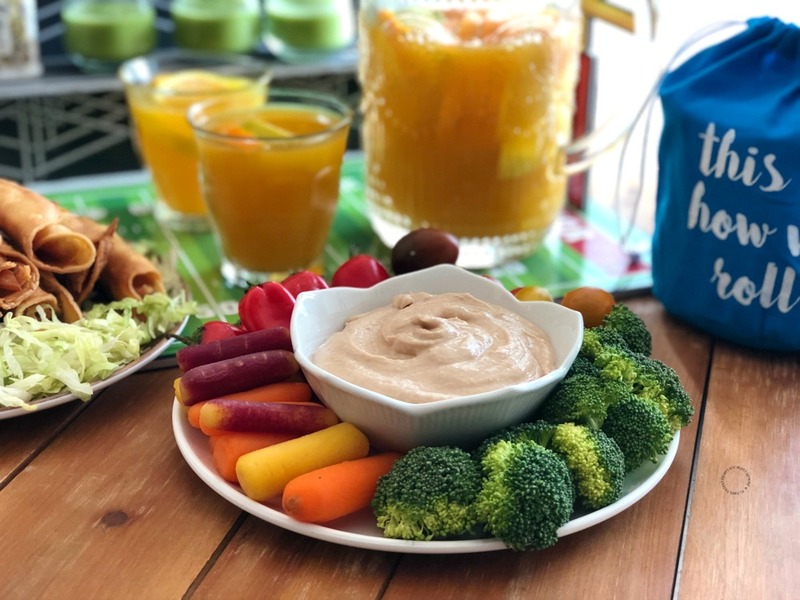 Pinto bean hummus paired with a crudité of veggies. Sparkly orangeade mocktail and touch down chocolate cupcakes. 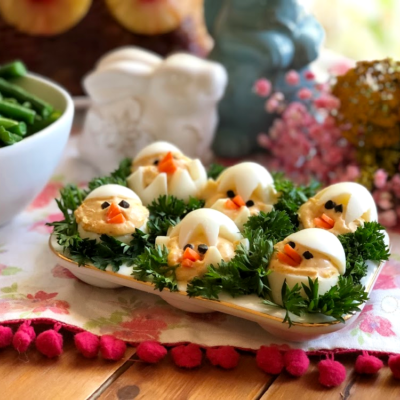 All dishes are fairly easy to make and you can prepare a day in advance so that you do not miss on the football fiesta excitement while entertaining your guests. 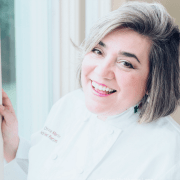 Here the scoop on the food for the This is How We Roll Football Fiesta! I found a sturdy stadium that serves as the display for all the food and does a very nice statement in the table. Having great decor for the table is very important to impress. This stadium will capture everyone’s attention, as looks just like the real thing. For the tacos you need 2 cups of shredded chicken, 18 corn tortillas, and corn oil for frying. Warm the tortillas and stuff with a small amount of chicken, roll and fry one by one. You can keep them warm inside the oven. The real deal guacamole sauce is made with fresh avocado, tomatillos, serranos, garlic and cilantro. Served on shooters for single servings and easy to dunk the taquito in the guacamole. The pinto bean hummus is super easy to make, we used one can of pinto beans, lemon juice and ready to use tahini paste with garlic. All goes in the blender and is ready in less than five minutes. 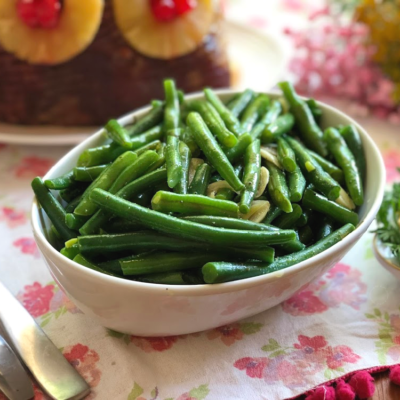 To serve, choose from raw broccoli and cauliflower florets, sweet peppers, rainbow carrots, and assorted tomatoes. 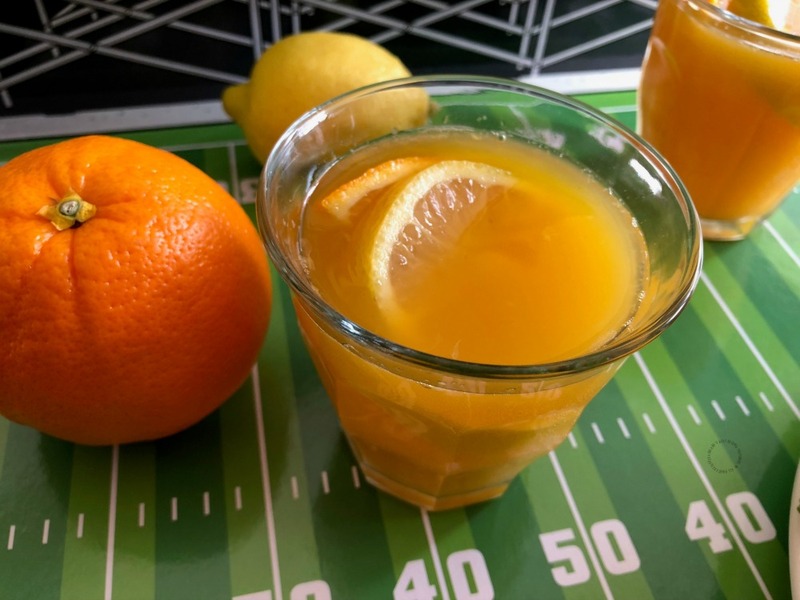 For the mocktail we are using 4 cups of chilled fresh orange juice, orange and yellow lemon slices, 1/2 cup of simple syrup or can replace with stevia for a sugar free option. Serve on a glass, garnish with a slice of orange and a slice or yellow lemon. And top with chilled sparkling water for a nice fizz. This beverage is refreshing and a good pairing for the food being served. The touchdown chocolate cupcakes wwere made with ready to use cake mix and frosting. Just follow the instructions in the package, bake, and frost. Found super cute football liners to make a better presentation that complements the football theme. Added colorful sprinkles for color. Do not Forget the Other Bowl! I love organizing parties at home and inviting guests over. And I have learned that aside from having good food and beverages we also need to have handy products that will help everyone feel comfortable. So when organizing The BIG Game gathering take care of the Other Bowl too. Yes! Poo~Pourri elevates the bathroom experience for those guests that need to GO in your home. Now you might be wondering how Poo~Pourri works. It’s pretty simple, really! When spritzed into the toilet bowl before-you-go, Poo~Pourri’s pure blend of NATURAL ESSENTIAL OILS creates a film on the surface of the water. The protective barrier traps odor under the surface, before it ever begins! All you’ll smell is a refreshing bouquet of NATURAL ESSENTIAL OILS. Flush yeah! At home we love it, it does work! Our personal favorites are Poo~Pourri Royal Flush® Before-You-Go® Toilet Spray and Original Citrus. But they have them available on other aromas. Such as Trap A Crap®, Smoky Woods, Lavender Vanilla, and Original Citrus. All available in 2 fl oz, 4 fl oz, & 8 fl oz. Hover over the image below to start shopping for your tailgate setup! Poo~Pourri is the perfect companion when at the other bowl. 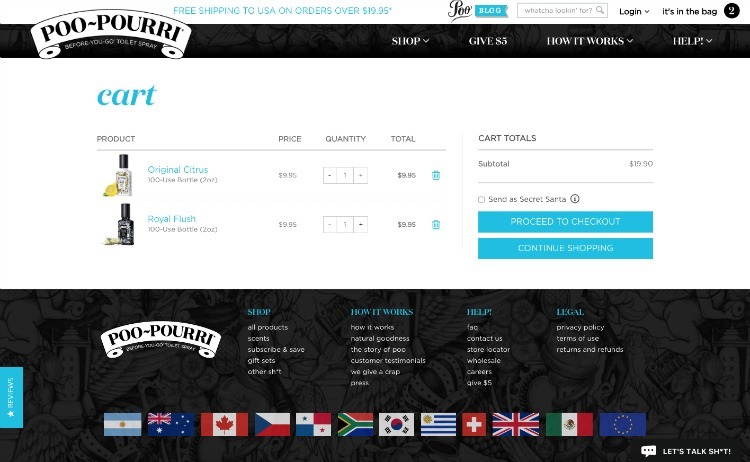 You can buy Poo~Pourri online. It is super easy to order. So go ahead you are just a click away to elevate your upcoming bathroom experience. Shop HERE! With Poo~Pourri and my fabulous tips, I am sure your football fiesta will be a great success. 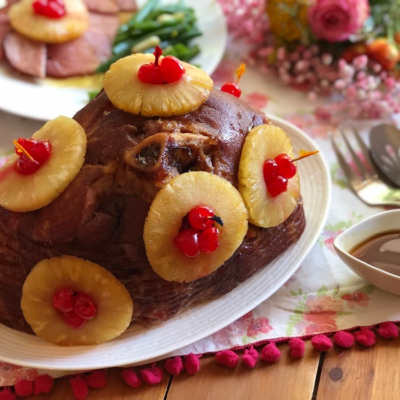 It looks like you have a great party spread. Those mocktails look delicious! You bet nothing like sunny orange juice from Florida with a bit of bubbles. I understand well the meaning of good food and good times so as long as there is a fiesta that has all of that I am good =) thanks for stopping by. What a yummy spread! Those taquitos look amazing. My mouth is watering. I love Poo~Pourri ! I bought it for my husband as a joke and was surprised that it worked! It’s my must have home product! I agree I was skeptical until I tried it. 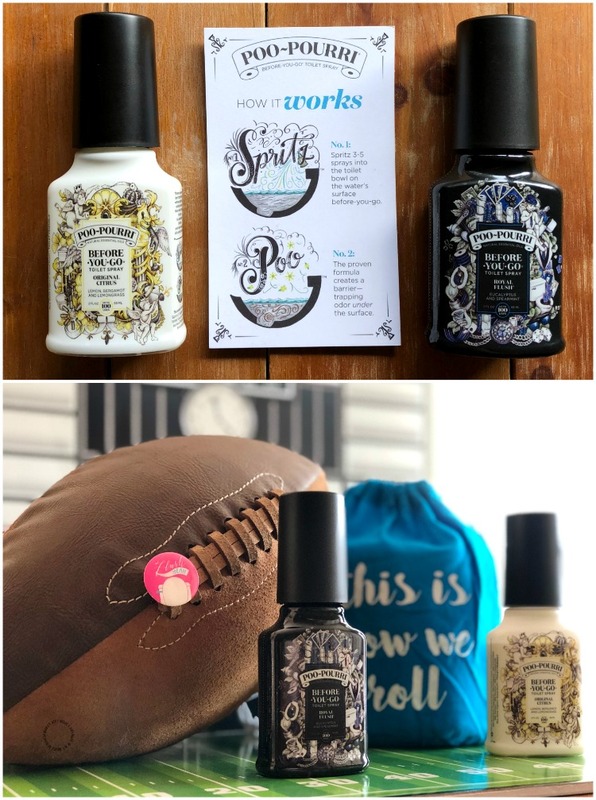 Poo~Pourri works and it is a must have when you have guests visiting or staying the night. I also found it very handy to bring it with me in my purse =) to get rid of those odors on public bathrooms! Those crispy taquitos look amazing! 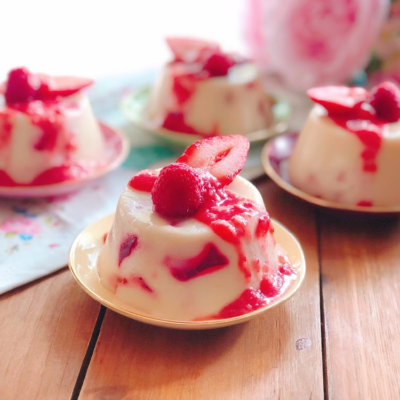 I have always loved those but never tried making them myself. I should give these a try to make! Very easy snack and a crowd pleaser, being able to make them a day before is also a lifesaver. Thanks for your visit. What a fun way to celebrate game day! The cupcakes look so cool. 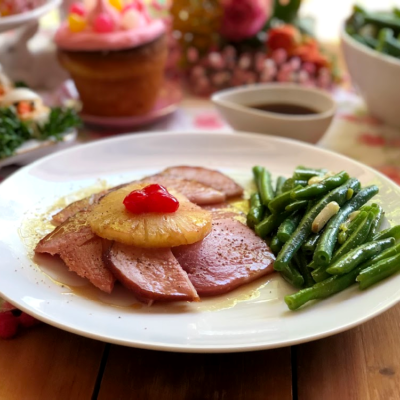 This looks like a delicious set-up! Those taquitos look delicious! And hummus is my faaave. I’ve used poo-pourri before, and I love it. I take it with me on all my roadtrips. Awesome spread! I am looking for ideas for our big game party. I know the guys are going to eat like crazy! Now that is my kinda party food. Can I come over? As a prego-lady I may eat it all on you though, haha!!! But of course no invitation required! You have such a wonderful spread here! Game day get-togethers are ALL about the food for me and I am wishing I was coming to your house, Adriana, to “watch” the big game! Thanks Sashi you are very kind you do not need invitation see you soon! When you roll, you sure roll hard. I love everything that you prepared for the party. I’d def attend if I could. What a fun and very delicious party food set-up! The Touch Down Chocolate Cupcakes are calling to me! Love the way you roll a football fiesta ! Those taquitos look very inviting 🙂 I am glad to see the Poo Pourri is available in South-Africa – will check it out ! 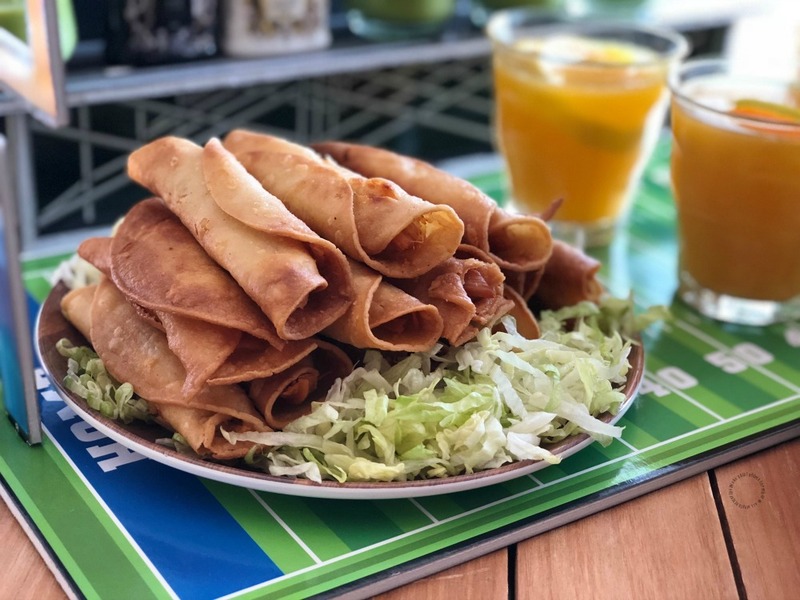 What delicious party food for game day – love the look of the taquitos! You’ve thought of everything, love all these ideas! Can I come and watch the football with you? You seriously have the BEST spread!! The Sparkling Orangeade Mocktail looks yummy! 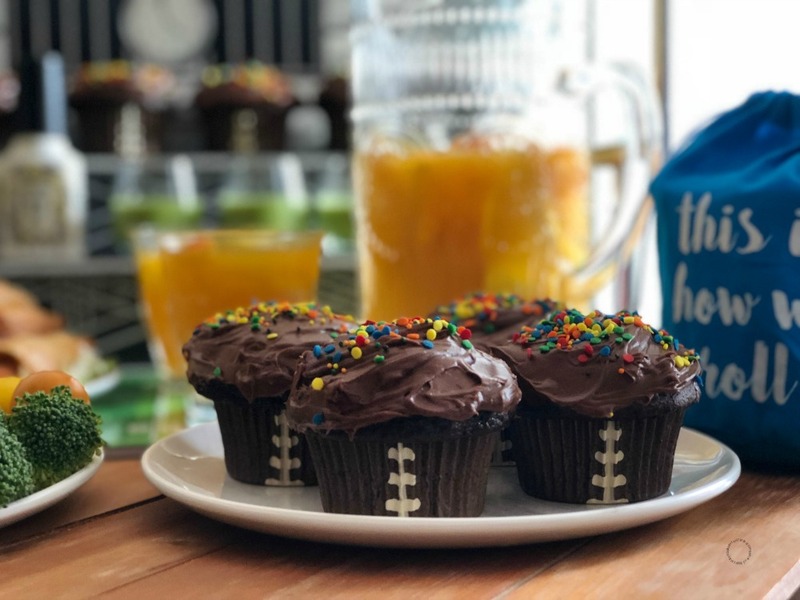 I’m all about the cupcakes and those look just perfect for a football fiesta. My kids would devour them! You are giving me some great inspiration for my next party! Thanks for sharing.